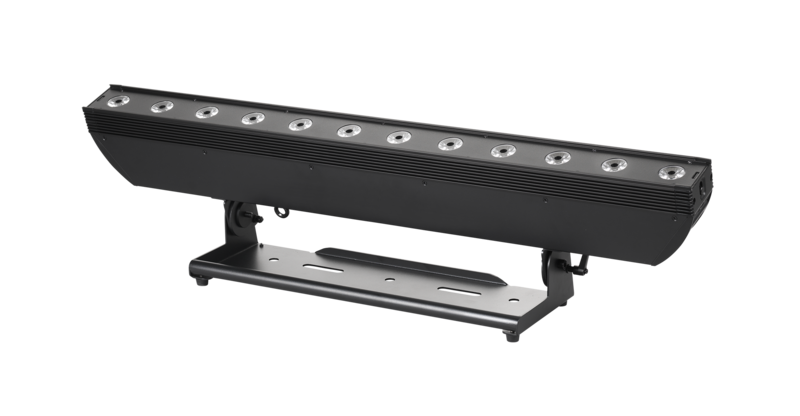 The RUSH BATTEN 1 HEX is an ultra-bright 12-cell batten color + UV wash fixture with full pixel control. 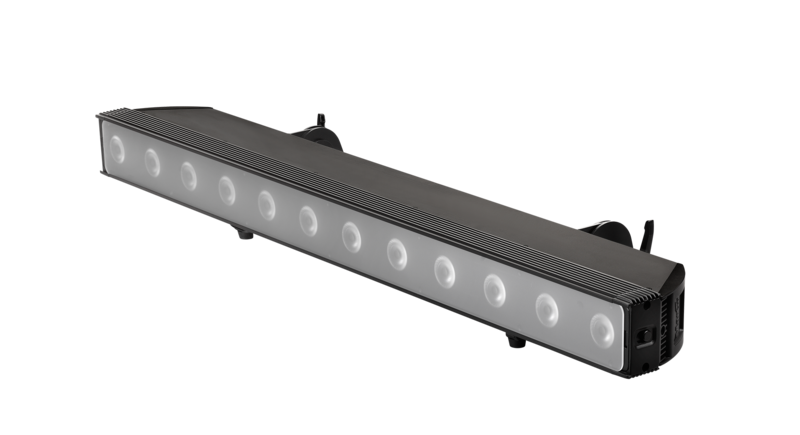 Featuring 12 watt RGBAW+UV 6-in-1 LEDs, the RUSH BATTEN 1 HEX can providing intense light for color, white, or blacklight applications. With available pixel mapping of the individual LEDs and controllable electronic dimming, strobe, and pulse effects, designers can achieve a variety of exciting looks. 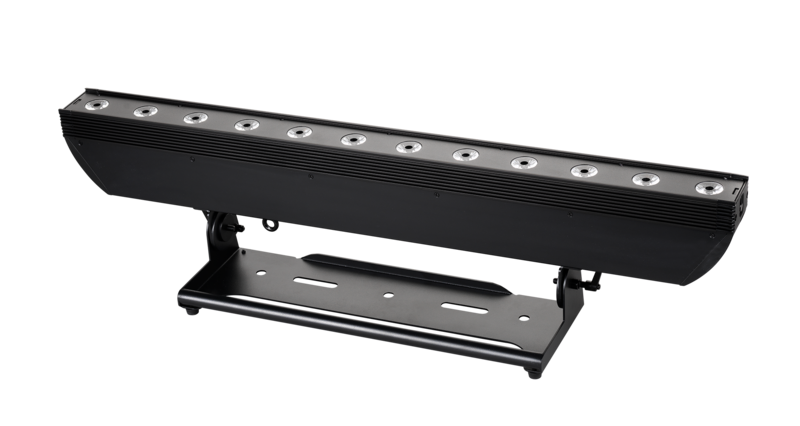 A removable diffuser/lens increases the beam angle from 25° to 32°, and brackets are available for floor or truss mounting. 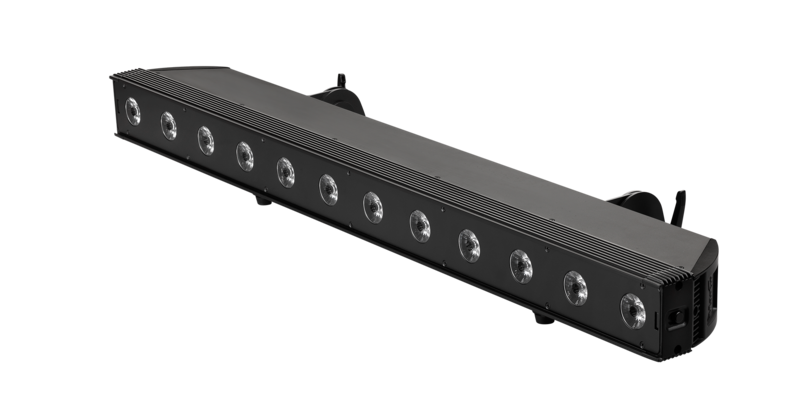 The LED source and rugged, lightweight construction make it ideal for live shows, TV events, stage, concerts, and nightclubs. Typical Power and Current100 V, 60 Hz: 148 W, 1.6 A, PF 0.978120 V, 60 Hz: 148 W, 1.3 A, PF 0.972230 V, 50 Hz: 148 W, 0.78 A, PF 0.821Measurements made at nominal voltage. Figures are typical, not maximum, allow for a deviation of +/- 10%.